Critical to any analysis software is the capability to generate an accurate track map. This allows you to pinpoint on the track where the data was recorded, making evaluation of the data easier and quicker. With some GPS-based systems, the mapping capability is accurate enough that you can visually see the rider’s line on the track and compare it lap to lap. 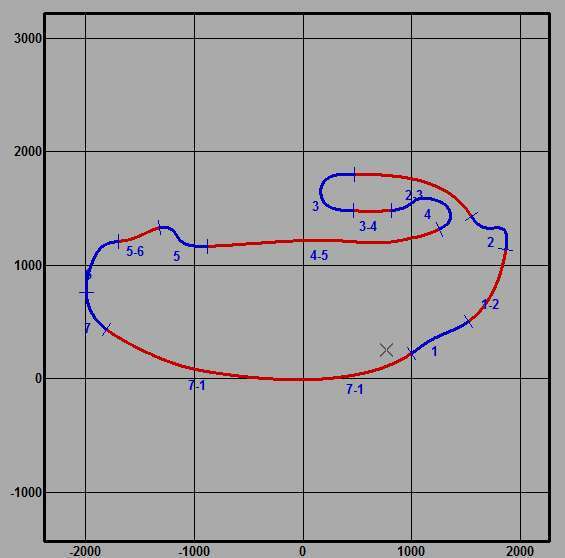 A track map created by a GPS-based data system is a true representation of the circuit. Maps generated by non-GPS-based systems rely on accelerometers and a gyro to create a map, and may not depict the track accurately. To create a track map from recorded data, select a lap on which the rider was consistent and did not encounter traffic or otherwise stray off the usual racing line. 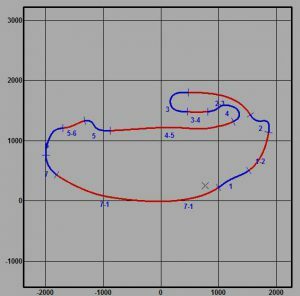 A GPS-based system will create the map based on recorded coordinates, and the map will be a true representation of what the track looks like. Non-GPS-based setups use accelerometers and a gyro to create the map, and the software will require some input for the map to appear accurate. 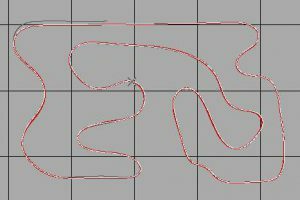 It’s worth spending the time to make a good track map that accurately represents the rider’s line, as you will be constantly referring to it. When visiting a track for the first time, update the track map occasionally over the course of the day as the rider gets accustomed to the track and line selection may change. The track map is broken down into sectors, which for convenience may number more or fewer than the number of corners and straights on the track. A track with few, long turns can have each corner broken down into multiple sectors. 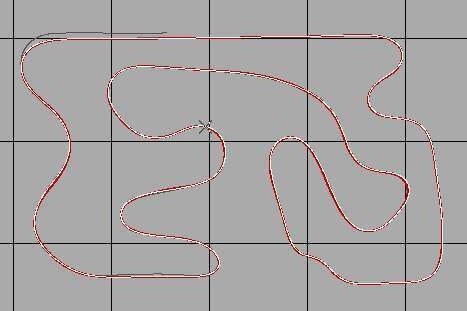 When a short track has many corners and chicanes, it’s wise to lump some turns together to reduce the total number of sectors. In this example of Auto Club Speedway in Fontana, the official track map shows 16 corners, but our track map has just 7 sector corners. The lap file can be broken down into sectors for analysis. Usually the procedure is to make each straight and each corner a separate sector, as this generally makes the corner sector numbers match the official track map. In some cases you may have to modify the sectors to accomplish this, but it does make things much easier when discussing the data with a rider and referring to the data. In some cases, tracks with many corners can be broken down into fewer sectors, combining corners and straights and making the sector data less complicated. In other cases, you may want to split a long corner into two sectors to see each part of the turn separately. Avoid making too few sectors, as it won’t give you enough information to make changes based on sector analysis. How are sectors useful? Most software programs can generate a “sector report”, which details information for each sector and lap. This information can include maximum speed on a straight, minimum speed in a corner, the time spent in each segment as well as entry and exit speeds. These numbers are all useful as they can be compared between laps and show quickly where a rider made time on a particularly good lap or lost time on a slow lap. When examining data from a particular session, it’s useful to check the sector times for every lap as the rider may not post his best sector times in his quickest lap. For example, one section of a particular lap may have been the quickest, but lapped traffic in another section may end up resulting in the overall lap time being particularly slow. The software should provide some method of showing sector times for each lap and highlighting the quickest times. This table breaks down the time spent in each sector for each lap of a session. Highlighted times are the quickest of the session, and allow a quick determination of what sections of each lap should be looked at. Some programs offer a calculation of the “theoretical best lap”, a number generated by adding the quickest sector times from a complete session. Avoid putting too much stock in this number, as it is unlikely the rider could string together every quick sector time. For example, entering a turn with too much speed may result in a very quick sector time leading up to the corner, but as a result the rider may run wide in the turn, posting a slow sector time. A time more representative of what the rider is capable of is a “rolling lap”, which adds a set of consecutive sectors totaling one lap for a quick time. For instance, the rider may be particularly quick in the last half of one lap and the first half of the next; adding the consecutive sectors from the two halves gives a time that reflects what is possible.